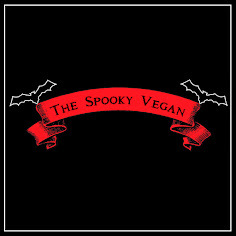 The Spooky Vegan: 31 Days of Halloween: HAPPY HALLOWEEN! 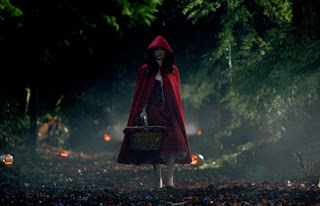 31 Days of Halloween: HAPPY HALLOWEEN! Our day is finally here! Happy Halloween everybody! Whew, it has definitely been a jam-packed October! Halloween is always bittersweet when it finally arrives...I mean, it's Halloween, so YAY! At the same time, though, it is also signifies the end of October and the end of Halloween activities. Boo! 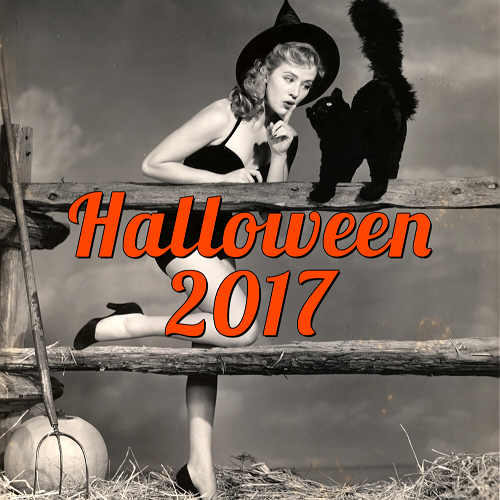 Speaking of Halloween activities, at the beginning of the month I shared with you my bucket list for the season. Like most years, I didn't get to do everything I wanted, but I put a decent dent in the list and, more importantly, thoroughly enjoyed this October's activities! So, here again is my bucket list with all the items I accomplished! Crunch through dry leaves - Not many fall leaves here in SoCal, but my parking lot at work has tons I stomped through! Visit the pumpkin patch - Yay for Tanaka Farms! Read about my visit here! Throw an awesome Zombie Prom Halloween party - Success! Pick out a zombie Halloween costume - Prom Queens, I'll eat your hearts out! Watch the classic Universal Monster movies - I actually watched some new ones I had never seen before, like Son of Frankenstein! Wear flannel, scarves and boots - The weather finally cooled down enough so I was able to do this! Visit the Halloween store - Visited multiple ones this year! Try as many pumpkin beers as possible - I stuck with Blue Moon's Harvest Pumpkin Spice this month, so I didn't quite succeed with this one. Make icky-looking Halloween food - Zombie brains and fingers, anyone? Drink pumpkin tea and/or shakes - I made pumpkin pie shakes and lived on Trader Joe's Pumpkin Spice tea! Check out fall foliage (even if it is just lusting through pictures) - Thanks to Tumblr and Pinterest for this! Buy new Halloween pajamas - Finally found some at Walmart (read my post) of all places! Buy Sweet n Sara Halloween s’mores - I didn't order these in time...argh! Visit the Halloween display at Roger’s Gardens - Beautiful as always! Read about it here! Go to a haunted house, haunt or hayride - Darn, totally missed out on these this year. Visit Julian, CA to pick apples - Sigh...it was just too hot to make the trek, plus I don't think the crop was all that great this year. 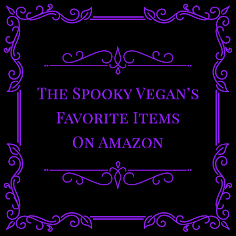 Check out as many stores with Halloween decor/items as possible (Target, Walmart, JoAnn Fabrics, Home Goods, etc.) - I did them all and spend FAR too much! Try new autumn recipes - It was just too hot to cook or bake anything autumn-y this month. Hopefully in November I'll be able to try some new recipes. Complete the 31 Days of Halloween challenge! - WHEW! I posted at least 1 post every day this whole month! For the third year in a row! Yay! Looks like you had a big month! Happy Halloween! Happy Halloween! And yes, it's a little sad that the night we all work toward is the night it all ends. Seems like you did JUST ABOUT everything, heh heh! Happy Halloween! Wow! You got a lot of cool Halloween things accomplished this month! Good for you. You're inspiring me to look back at what happened in my life this month. It's really just been one short blur. I'm glad you had such a fun action packed October as well! Your ambition is commendable... even as a Halloween lover, I have a hard time not burning out by the 31st (usually I'm over and onto my next costume). I also haven't seen Paranorman, Hotel Transylvania, or Frankenweenie. Are you in the LA area... friend date? 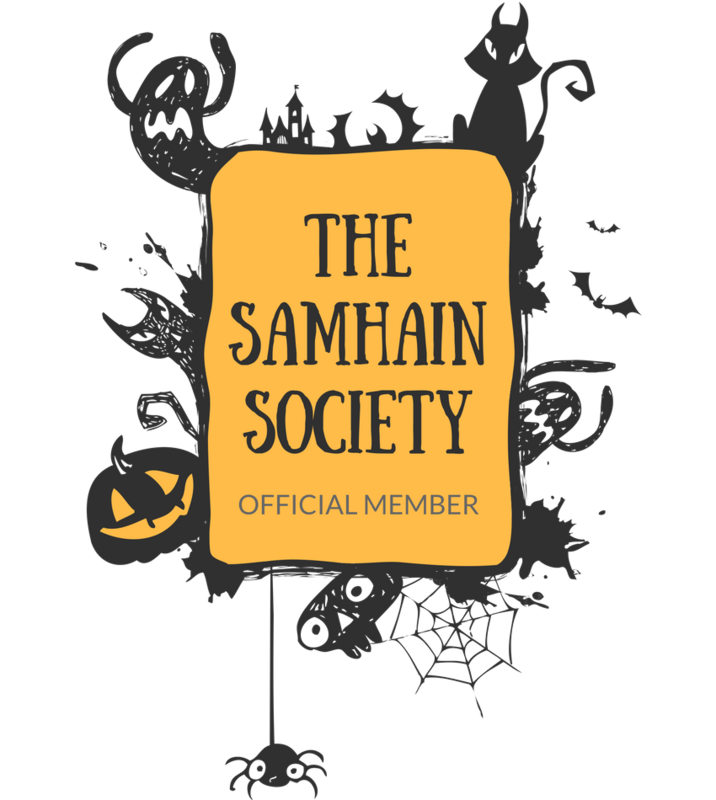 31 Days of Halloween: Zombie Prom Party Prep! Giveaway: Win a Box of Candy Corn Oreos!